Nail Book is a popular nail application with over 2 million downloads. 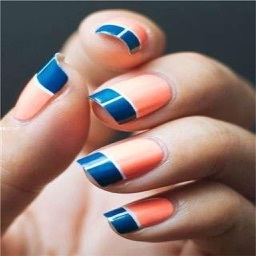 You can find the best nail designs you want to make a reservation for! 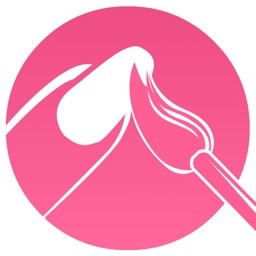 Not just hands and feet, you can find your nail designs by hashtags, length, color, designs and scenes. Since many manicurists post their designs, you can find a plenty of popular nail designs! If you find cute nail pictures, please click "Like!" and register them as your favorites! 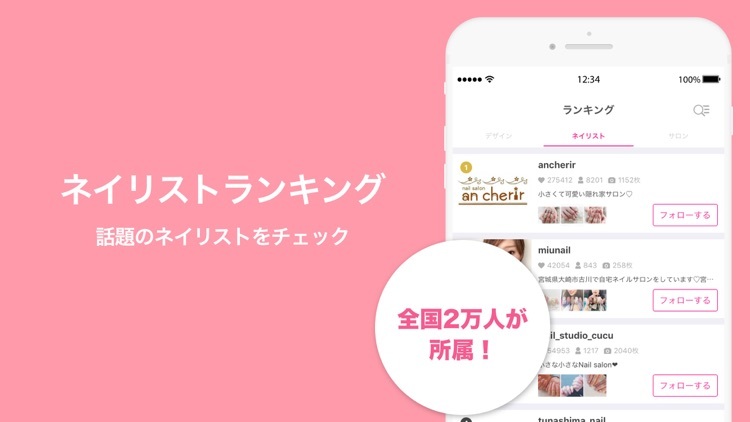 You can check hot nail designs, popular nail artists and popular nail salons by daily/weekly/monthly rankings! If you follow the nail artists you like, you can check their latest posted nail designs from the follow tab. 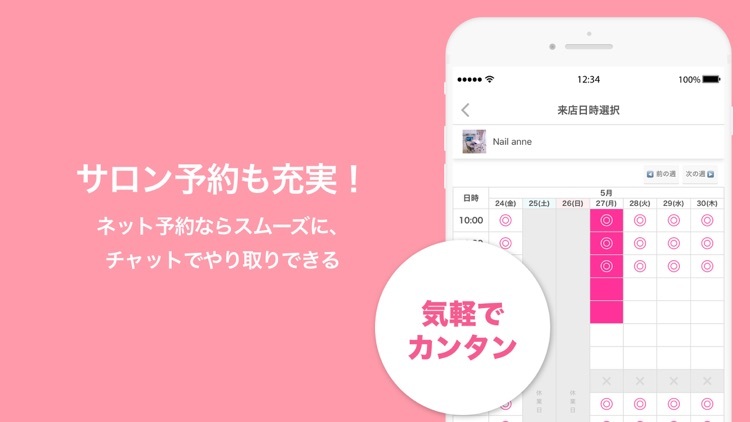 You can search for nail salons or eyelash extension salons in Japan! 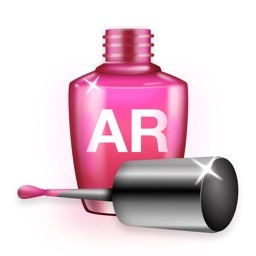 You can sort by popularity or price or check nail designs to find necessary salons right away. 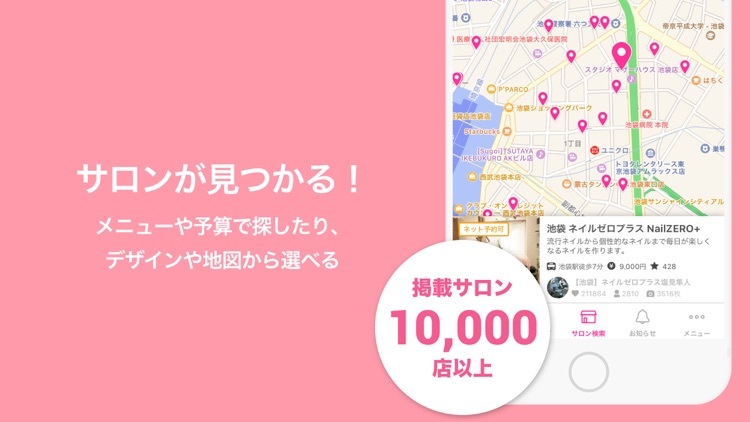 It's filled with nail salon catalog menus and useful campaign information! 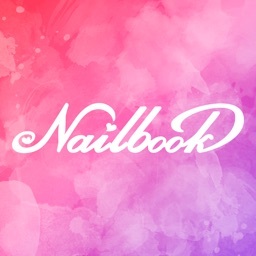 You can make online reservations for more and more nail salons with Nail Book app! 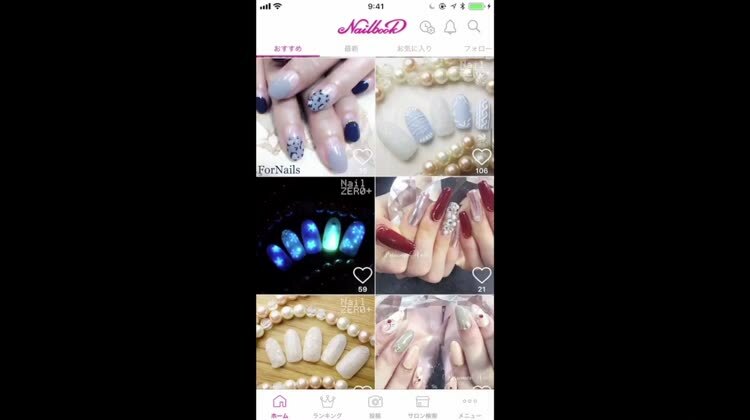 Just by posting a nail photo, you can advertise your nail arts to nail loving users. You can also post on Facebook or Twitter at the same time! Anyone who has an Instagram account, you can post your picture from Instagram with added comments. 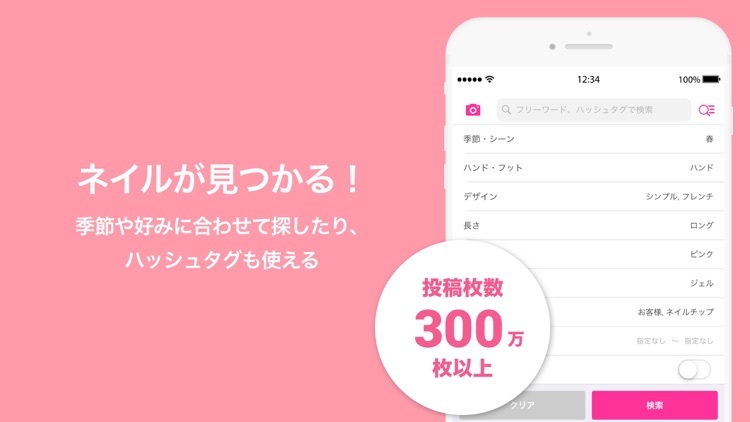 Because you can log in easily with your SNS account, you can use membership functions without any stress! Of course, you can also register your membership with Facebook/Twitter/Instagram/email accounts. * I want to find cute nail designs no matter what. 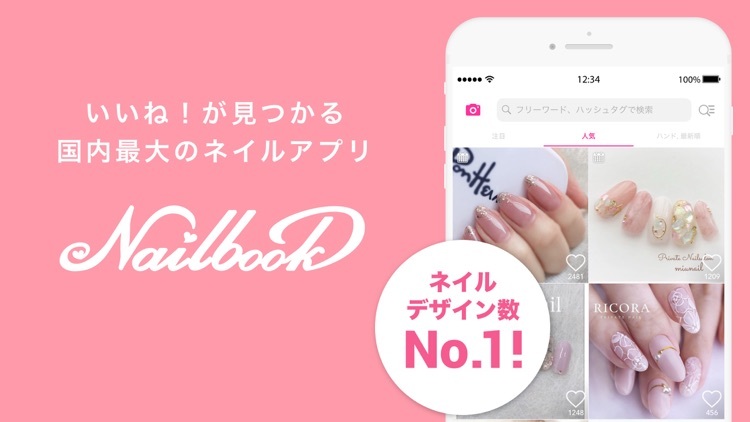 * I want a stylish nail design for a date, anniversary or event! 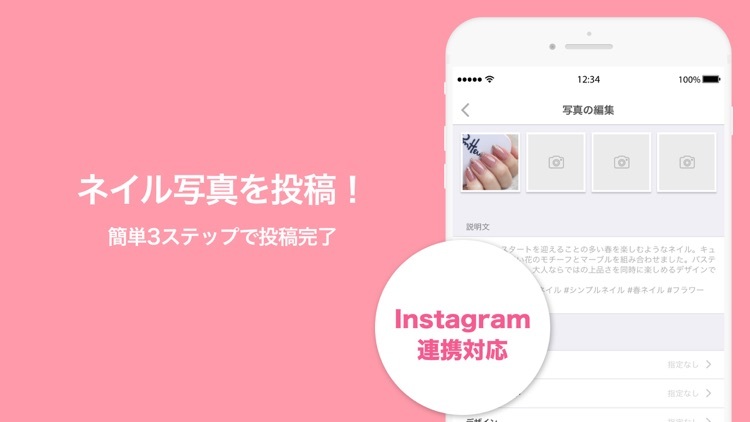 * I want to know cool nail designs that I can post to Instagram! * I want to share my beautiful nails with everyone! * I want to connect with nail loving people! 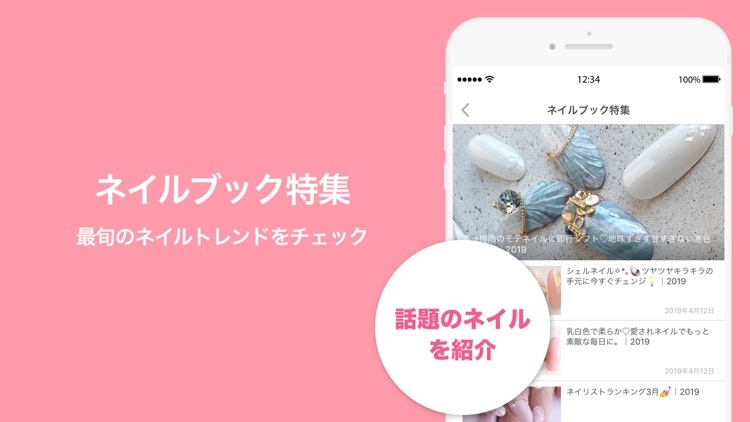 * Interested in nail designs, nail artists and nail salons in japan. * Frequently checks Instagram for nail pictures. 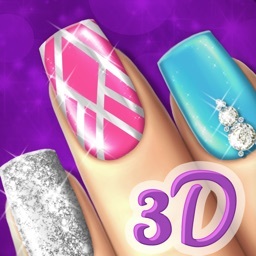 * Has played with nail games or nail simulations. * Used to enjoy nail stickers from nail printer at arcades. 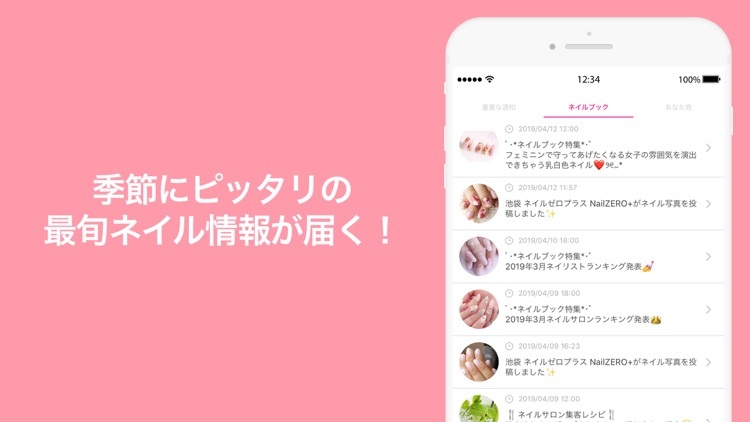 Posting information about nails and beauty products in our official website and through SNS as well as Nail Book Magazines. Don't miss out on them if you love nails! I put together frequently asked questions. Please check this out.